If one had to find a single word that would best describe the western Montana small town of Bozeman, "energized" seems to be an appropriate choice. And for anyone who is searching for a place to retire that offers a sense of energy and excitement, along with a setting surrounded by great natural beauty and unlimited potential for outdoor adventure, Bozeman would make a great starting point. While many locals would prefer to retain the quiet anonymity and traditional slow pace of their town, it may be too late. 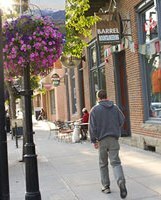 In the last few years, articles in several major national publications have praised the quality of life and lifestyle advantages of this picturesque place, bestowing upon it such accolades as "one of America's dream towns", a "Top 40 College Town", and on the list of "Best Places in America To Retire." From a sleepy railroad stop with a gritty cowboy culture in the 1970's, Bozeman has blossomed into a vibrant mid-size city and a western-chic hotspot for high tech companies, college students, artists, entrepreneurs, and fishjunkies, while retirees are finding it to be a very affordable small town for retirement living. With a population of less than 35,000, it still retains an atmosphere of small town hospitality, and many retirees are impressed with the genuine friendliness of their neighbors. Yet despite its size, Bozeman provides an impressive array of big city cultural amenities for people who love art, theatre, museums, music, dance, and opera. Tucked within its amazing Rocky Mountain setting, thisoutdoorsy sanctuary just 90 ninety miles north of Yellowstone National Park is surrounded by the soaring peaks of the Bridger, Gallatin and Tobacco Root ranges. Clearly, Bozeman is a place where every aspect of daily living is largely shaped and influenced by its majestic landscape. And the opportunities for outdoor recreation are seemingly endless. In the winter, skiers have their choice of the local favorite, the nearby and affordable Bridger Bowl, or the ritzy, upscale resort atmosphere of Big Sky, just about an hour's drive south of town. 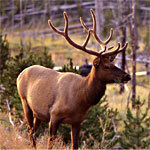 Outdoor enthusiasts will find Bozeman a convenient base camp for a myriad of activities. 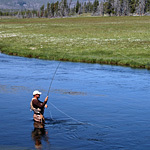 Those who prefer fly fishing have a choice of world class trout streams such as the Gallatin, Madison and Yellowstone Rivers. For others, southwest Montana offers miles of trails and acres of open meadowland for hiking, biking, horseback riding and camping. Simply put, this area is a great spot for anyone wishing to retire in the mountains. Nor have golfers been neglected. 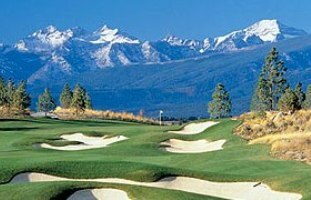 Several new master planned golf communities have been developed in and around Bozeman with a variety of homes and homesites available, some with imposing fairway locations with the mountains looming in the horizon. Also, several public courses provide great challenges for all levels of golf.